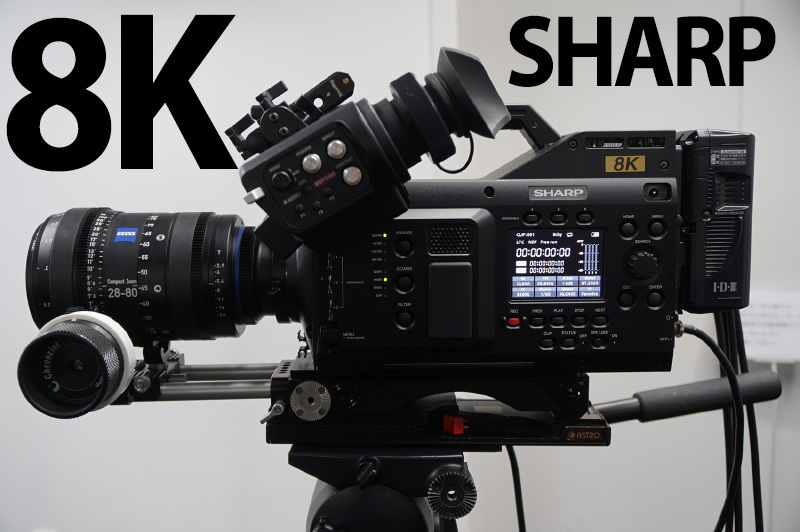 I have never before seen or bought a professional Sharp camcorder yet they have just announced this 8K camera. At $77 thousand US dollars I doubt they will be shifting many units. 1. World’s first camcorder integrating capabilities for video shooting and recording, playback, and line output for 8K (60p). 2. Compatible with 8K (60p) shooting thanks to a large, Super 35-mm-equivalent CMOS image sensor with 33 million pixels. 3. Realizes 4:2:2 sampling*6 and 10-bit recording of 8K (60p) images. A compression method that exerts low burden on the CPU makes editing more efficient and allows approximately 40 minutes of continuous recording (when using 2TB SSD pack). 4. Real-time output of uncompressed 8K (60P) images can be performed simultaneously with recording (equipped with quad-link 12G-SDI output terminal), making possible live 8K transmissions and replay output after recording. 5. Built-in SSD back slot for recording media. Realizes one-person operation at 8K shooting with V-mount battery drive.